I have a small collection of antique spoons that were never out of the drawer. That's why this art work at the interior design exhibition Casa Cor Rio de Janeiro caught my attention. How cool is it? 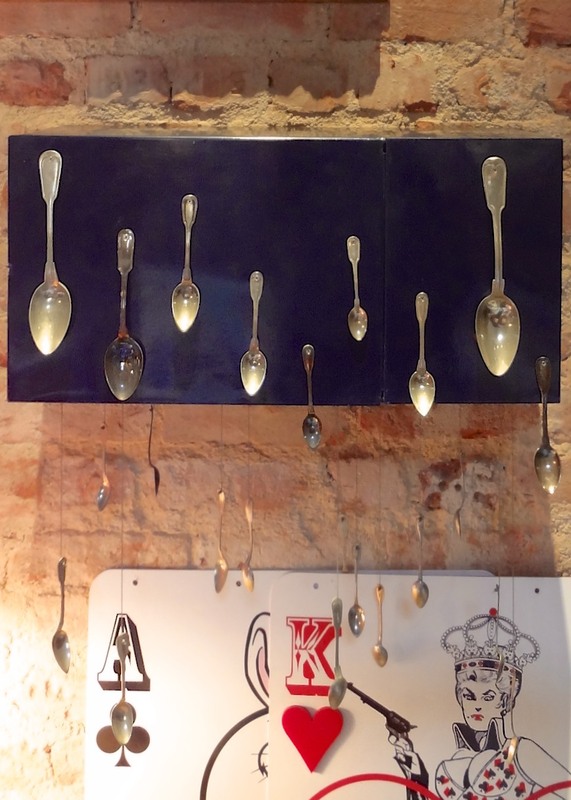 Spoons nailed to and hanging from a wooden box! I would never nail my spoons to anything, but I thought this could inspire a nice DIY. I could tape and tie them instead. What do you think? Wouldn't it be a fun addition to a kitchen or dinning room? Above you can see the entire room where the art is in exhibition. Designers are Carolina Escada and Patricia Landau. 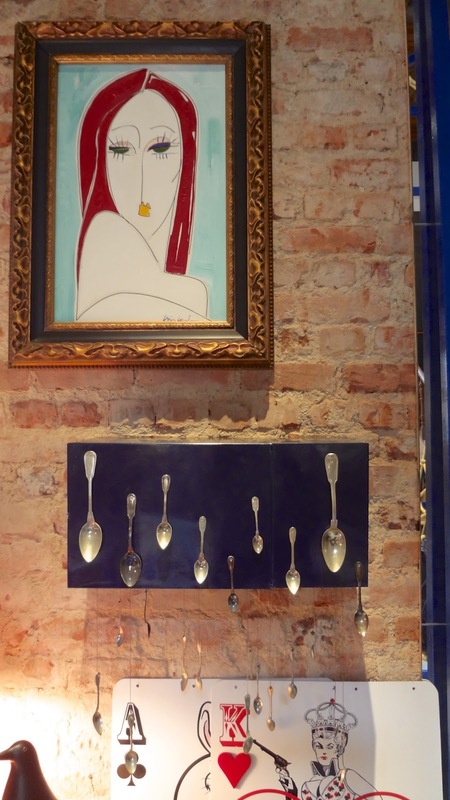 The picture is from Casa Cor website. Thanks for sharing this Ana! I love looking at vintage treasures and finding them a new purpose, even to simply display them in some new way. Great inspiration, thanks! Such a great idea! Definitely a fun way to display treasures.